BARCELONA, ESP – Today Samsung is announcing the Galaxy S9 and S9+. Both devices bring iterative designs over the Galaxy S8 – which is not a bad thing. The camera sees significant upgrades with both a new innovative camera sensor as well as an industry first-adjustable lens that can switch between f/1.5 and f/2.4 apertures. Having the same screen and battery capacities as the S8 might seem like a step sideways, but the one thing where the S9 improves on is with the internals. While the Snapdragon 845 SoC is a conservative generational update, the Exynos 9810 looks to shake up the market with, until now, a unexpected generational jump. Samsung has officially unveiled the latest generation Galaxy S flagship today at Mobile World Congress in Barcelona. 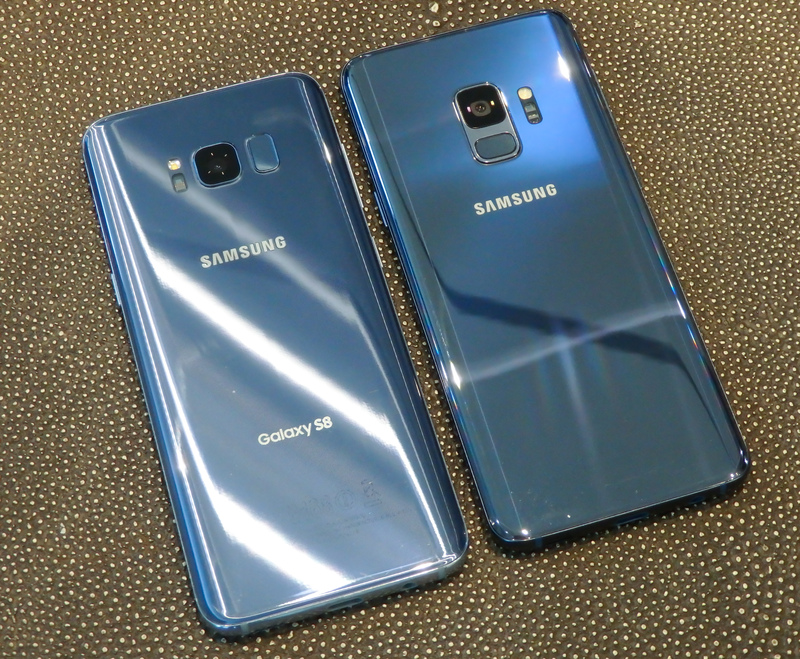 Having returned to the traditional MWC release schedule after last year’s late-March introduction of the Galaxy S8, the new Galaxy S9 has a faster cadence of succession, marking only 10 months since the predecessor. Over the years, Samsung has had a very consistent take on its flagship line-up and generational design language; major changes are introduced at a two-year cadence while the in-between updates make more nuanced updates on the design. The Galaxy S4, S6, and S8 each brought major overhauls in the design and build of the devices, while the odd-numbered generations such as the Galaxy S5 and S7 iterated on the newly introduced industrial designs. For better or worse, the Galaxy S9 continues this trend to what might be Samsung’s most minor generational design changes. The exterior changes to the Galaxy S8 are more nuanced than ever. As devices converge to being ever more full-screen slabs of glass and screen, it’s easy to forgive Samsung on iterating on one of it’s best looking designs and aiming for 'perfection'. 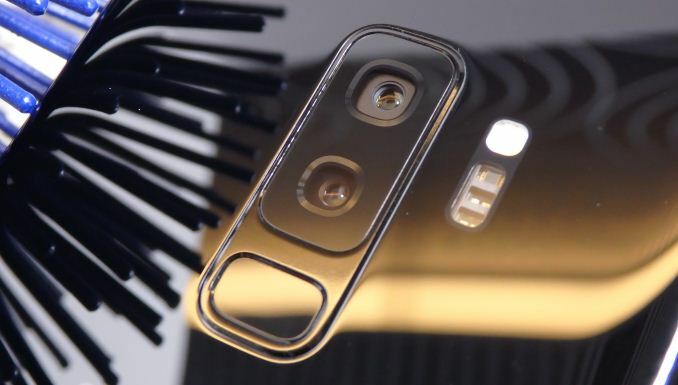 The most visible change on the Galaxy S9 and S9+ is found at the rear of the device: the fingerprint sensor changes orientation and location from the side of the camera to underneath the camera, similar to a lot of Android devices on the market with rear-based fingerprint sensor. 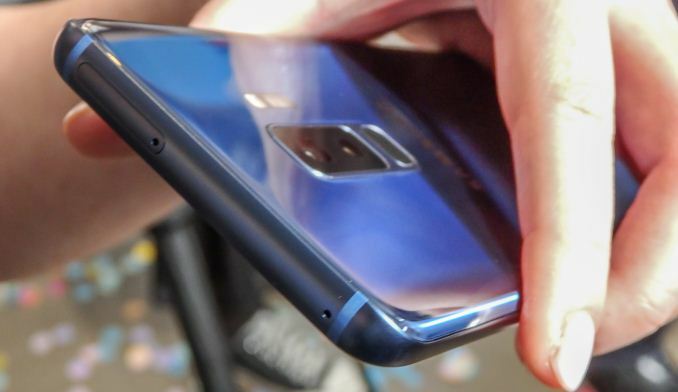 Previously the S8’s fingerprint sensor was integrated into a separate cut-out of the back glass, however the S9 changes this as it’s housed within the same cut-out as the camera and surrounding metal rim, which depending on the internal structure make back glass replacements and water resistance easier to implement. The S8’s fingerprint sensor placement was certainly the device’s most criticised characteristic so users should hopefully be pleased with the new setup. Among some of the other refinements is the slight reduction in bezel thickness at the top and bottom of the device. The results of the bezel reduction mean that the regular S9 shaves off 1.5mm in device length over the S8 while the S9+ is 2mm shorter than the S8+. The bezel reduction doesn’t ultimately come from reducing the screen front’s black bezels but more from the flattening of the device’s round frame to a lesser curvature like that one found on the Galaxy Note8. At first glance the Galaxy S8 and S9 might be hard to distinguish from the front, however the lack of a clear front-glass hole for new iris scanner exposes which devices are the S9, as Samsung has managed to hide the sensor. The front-camera clearing is also slightly reduced in diameter compared to the S8. Samsung maintains an all-black front for all colour models of the S9 to enhance the edge-to-edge infinity display experience. Samsung’s marketing for the S9 is strongly focused on the camera, and indeed that is where we see the most impressive improvements. 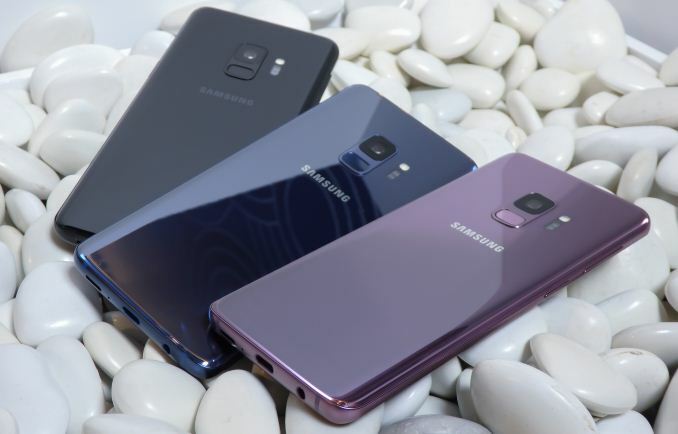 The Galaxy S9’s new main rear camera sees large changes in the optics while also employing a brand-new sensor. The resolution of the new sensor remains at 12MP and the pixel pitch should still be 1.4µm (to be confirmed depending on the exact sensor size). We are talking about a new sensor but Samsung hasn’t disclosed if and what kind of improvements have been made to the pixel array itself. What has changed is the sensor structure. First launched last year by Sony and implemented in the Xperia XZ’s – the Galaxy S9’s also implement tri-stack sensor structures. 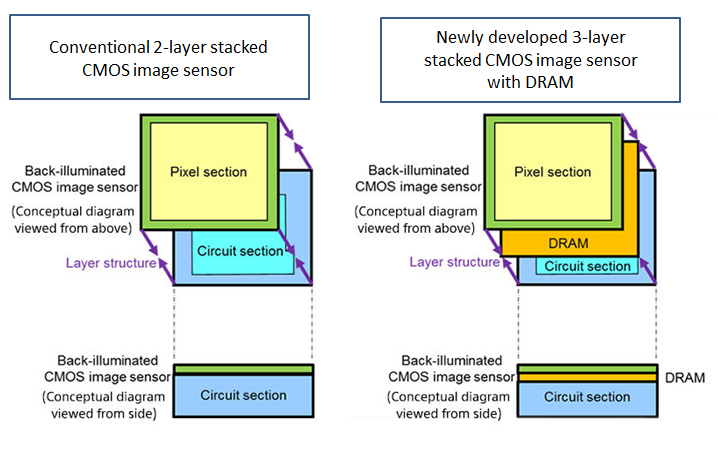 Traditional two-stack sensors are comprised of the pixel array layer which is the CMOS image sensor itself, and an image signal processing stack which takes care of various pre-processing tasks before the data is forwarded to the SoC’s camera pipelines. The new tri-stack sensor modules introduce a DRAM layer into the mix which serves as a temporary data buffer for readouts from the CMOS sensor pixel array. As digital cameras lack any mechanical shutter, light exposure to the sensor is constant. What this means for traditional sensors, which have to scan the pixel array line-by-line and forward it to the image-processing layer, is that there is a significant time difference between the first upper left pixel’s exposure and the last lower right pixel’s exposure. This in turn creates the effect of focal plane distortion in fast-moving objects. The DRAM layer serves as an intermediary buffer. It enables readout of each of each individual pixel ADC value from the CMOS sensor at a much faster rate before forwarding it to the processing layer. While this is not a true global shutter, the enormously faster readout rate is able to very much mimic one in practice. Samsung uses this for two major advantages: high framerate video recording as well as very fast multi-frame noise reduction. 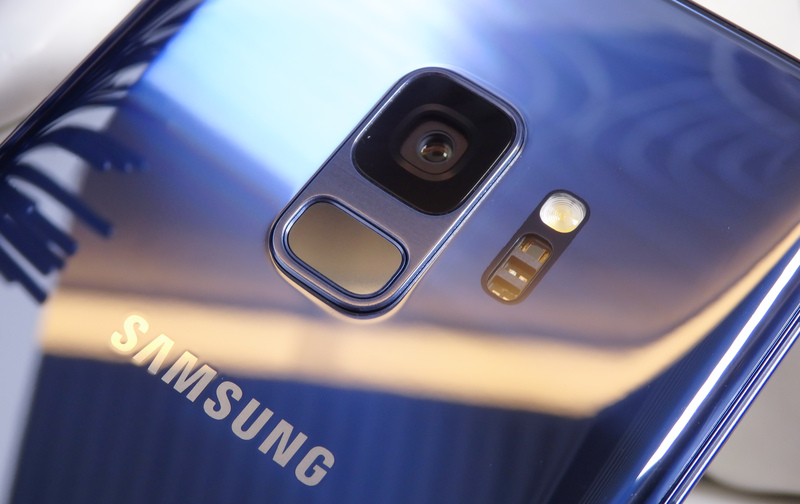 For the first, Samsung is now able to match Sony’s devices with up to 720p960 high-framerate recording. Other modes available are 1080p240 and 4K60. The S9’s allows up to 0.2s of real-time recording in this high-frame rate mode, which expands for up to 6s slow-motion footage in the resulting recording. Samsung also differentiates itself from Sony’s implementation as it uses “AI” for automatic triggering of the high-framerate capture as it’s able to detect very fast moving objects. We still have to experiment more with the feature before coming to a verdict. The camera also allows for manual triggering – but for the highest framerate bursts correct timing will be critical in capturing the subject. The second feature enhanced by the new sensor (as well as the SoC imaging pipelines) is the multi-frame noise reduction. Google’s Pixel’s devices and HDR+ algorithm were the first to use a software implementation of this feature. The camera captures a series of short-exposure shots and the individual captures are interpolated into a single image that has less noise. Samsung claims a noise-reduction of up to 30% through this method – in theory this also will improve sharpness as there is less detail lost to algorithmically applied noise reduction, something we’ll have to verify in more thorough hands-on testing. The new sensor is only part of the improvements to the camera as the module has also seen a very large change in its optics. The maximum aperture of the lens has risen from f/1.7 to f/1.5 which by itself allows for 30% more light to fall onto the sensor. An aperture this high can also lead to overexposure, and also has a very shallow depth of field. For this reason Samsung has pioneered, for the first time in a mobile device, the introduction of an adjustable aperture lens. The S9’s main rear camera is able to switch between a wide f/1.5 aperture and a narrower f/2.4 aperture. The smaller aperture allows for two things – less light in bright conditions, and a deeper depth of field. Arguably the first isn’t a proper reason to switch to a narrower aperture, as unless there are some issues with the sensor or imaging pipeline of if the camera has issues with overexposures for some reason, the more light the better for the shooter. The second effect of a narrower aperture however is a deeper depth of field. This can have a considerable impact on pictures – especially when considering the maximum aperture of f/1.5 which allows for an incredibly shallow depth of field. In theory this could lead to focusing issues in some scene compositions where you want to have more objects in the plane to be in focus, but being able to switch apertures could be extremely useful and it is a compromise for some of the disadvantages that a wide aperture brings. The S9 only supports switching between f/1.5 and f/2.4 – I suspect that having a more fine-grained control to allow for a more variable aperture would vastly increase complexity of the camera module and the aperture blade actuators. The Galaxy Note8 introduced dual-cameras for Samsung flagships and the S9 follows suit – sort of. Unfortunately only the bigger Galaxy S9+ employs a secondary camera module equipped with a 2x zoom telephoto lens. The specifications of this module match that of the telephoto camera of the Note8: a 12MP sensor with a f/2.4 aperture lens equipped with OIS. The layout of the cameras does change in comparison to the Note8 as the S9+’s telephoto lens is located between the main camera and the fingerprint sensor in a vertical instead of horizontal arrangement. The software functionality remains the same as that of the Note8. I’m disappointed that Samsung chose to not maintain the same camera experience between the normal and plus variants and that they are following Apple’s model of limiting the feature set of the smaller variant. For one I would personally enjoy having a secondary camera for telephoto or wide-angle uses but would not want to have to use the larger model of the devices. The last physical design and feature change is the speaker. 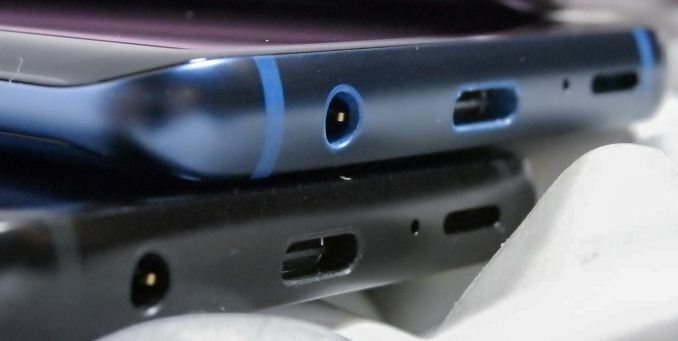 The S9’s speaker grill design is different now and contains a single open slot instead of the grill design of the S8 (which in turn had transitioned from the array of holes design of the S7). 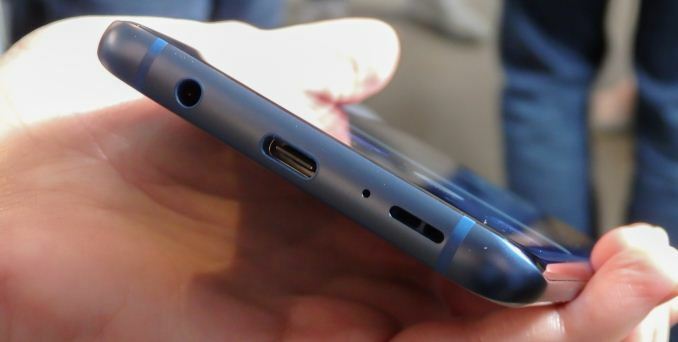 Also a first for Samsung is the inclusion of stereo speakers – the front earpiece now serves as the secondary stereo unit. Together Samsung claims that audio quality has received a massive boost and maximum volume is now 1.4x louder than on the Galaxy S8. The sound system is also Dolby Atmos compatible and allows for a virtual surround sound experience with the right content. 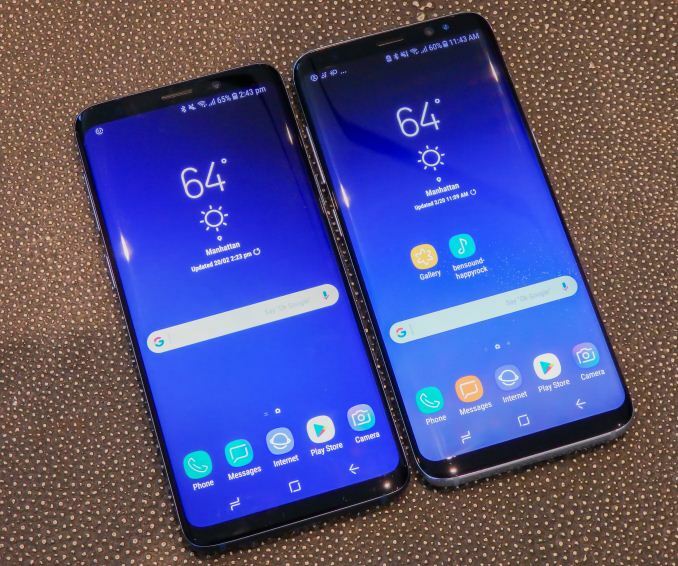 The screen of the Galaxy S9 has the same basic specifications as the Galaxy S8. The regular variant has a 5.8” diagonal 18.5:9 aspect ratio 2960x1440 AMOLED screen, while the S9+ employs a larger 6.2” model with the same resolution. We don’t have any information on if Samsung has improved the panel of the S9. Over the last generations (S8, S7) there has not seemed to be any significant change in the OLED emitter materials, and thus the power efficiency of the screens have not seen any significant jumps compared to iterations of prior years. There were reports the that iPhone X screen had employed a new generation material, but to confirm if the S9 has this then the S9 panel will require more in-depth testing once we have a production unit in our hands. Early in the year Samsung LSI had dropped a bombshell in claiming an astounding 2x single-thread performance improvement with the new Exynos 9810. For a couple of weeks this caused a lot of controversy and discussions on the validity of the claim. In the end of January we exclusively covered the high-level micro-architectural features of the new Exynos M3 core and by then it was clear that the performance claims were not just marketing claims. The new Samsung CPU core is the first “very wide” CPU microarchitecture to power Android SoCs and the first to finally follow Apple’s footsteps in the direction of maximising single-thread performance. The Exynos 9810 contains 4x of Samsung’s M3 cores running at up to 2.7GHz together with 4x Arm Cortex A55s at 1.9 GHz. On the side of the M3 cores the maximum frequency varies depending on the number of active cores and reduces down to 2.314GHz at two-core load and further down to 1.794GHz at 3 and 4 core loads. The GPU is a Mali G72MP18 which runs at up to 572MHz. The Snapdragon 845 contains 4x Kryo 385 performance cores, which are derivatives of Cortex A75s, and are running up to 2.8 GHz. 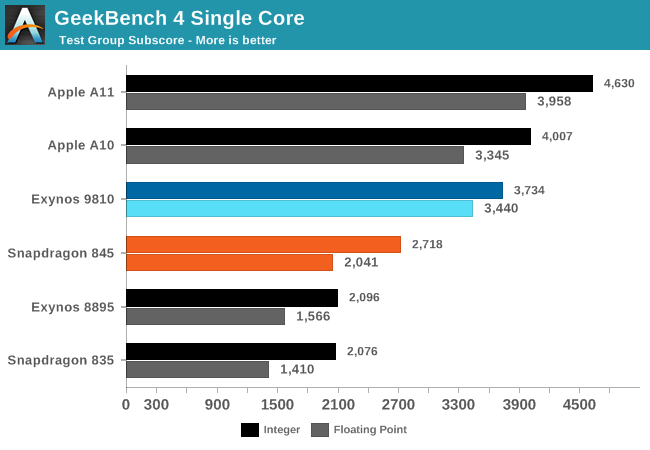 The 4x Kryo 385 efficiency cores are derivatives of Cortex A55 cores and are clocked at 1.77 GHz. The GPU is a new generation Adreno 630. We extensively covered the Snapdragon 845’s specifications and performance in our announcement article and follow-up performance pre-view and expect the Snapdragon variant of the Galaxy S9 to perform very closely to the benchmarked scores of the Qualcomm reference platform. From the very beginning of the unveiling of the Exynos 9810 I brought up the question of how Samsung would balance the superior claimed single-threaded CPU performance of an Exynos variant versus the more conservative performance of a Snapdragon 845 variant. Samsung’s answer seems to be very simple – they won’t balance it. Preliminary GeekBench4 scores show astounding performance improvements on the side of the Exynos 9810 showing 78% improvements in integer workloads and 119% in the floating point tests. These figures are also likely running at a reduced final clock frequency of 2.7GHz instead of the higher 2.9GHz that SLSI had originally published, which all in all isn’t that surprising given we’ve seen the same happen in the two previous Exynos generations. We’ll try to get our hands on a sample as soon as possible after the event tonight and run more benchmarks on the Exynos devices and update this article, so stay tuned for a couple more hours! If Samsung has decided not to balance the CPU performance of the two variants then it also opens up the question on how power efficiency is balanced. The fact that the clock frequency indeed has been reduced from SLSI’s peak figures shows signs that some sort of tuning has taken place, and if that tuning wasn’t around performance it must have been power related. To be honest I find very hard to imagine for Samsung to give the Exynos variant such a performance advantage and compromise battery life against the Snapdragon variants. 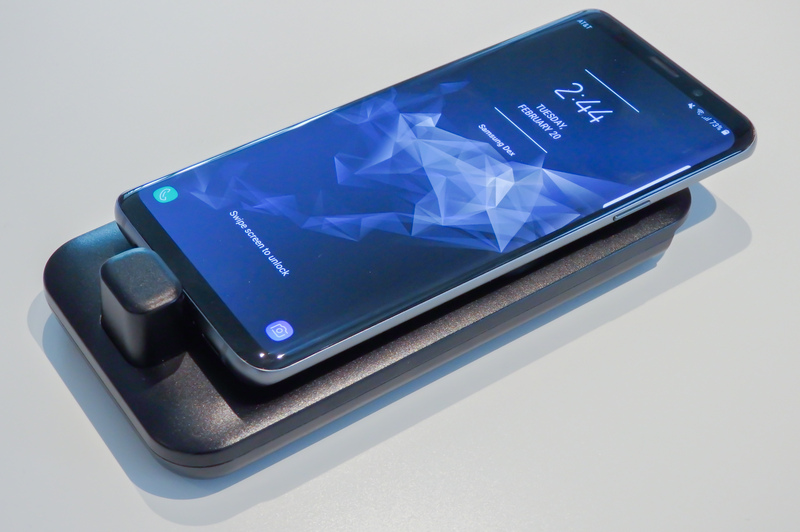 I expect the S845 variant have average ST platform active power usage of 1.4-1.7W in benchmarks such as SPEC and GB4 so for the Exynos 9810 to maintain the same power efficiency it needs to land in similar metrics of 2.0-2.8W – if Samsung manages to remain within this range then it would be an enormous achievement. Apple still leads in absolute performance but with ST active platform TDPs of 3-3.5W for both the A10 and A11. I also have to make a note that on the GPU side I don’t expect the Exynos 9810 to rival the Snapdragon 845 in either performance nor efficiency, but how big the difference are is still something we’ll have to dig into in the next few days. Over the years we got used to Samsung employing different SoC variants for different market variants. In some years we saw the Exynos variants ending up as the superior variants while in others the Snapdragon units took a leading role. This year however we seem to have the single most polarising difference between the two variants. How this is going to work out and how the US market will react is definitely going to be one of the more interesting stories of 2018. I will also add that in the past the dual-sourcing made sense due to technical limitations. CDMA compatibility for Verizon and Sprint in the US and China Telecom in China made for compelling arguments for using Snapdragon variants in those markets. However since then Samsung has introduced discrete modems and Exynos SoCs with CDMA compatibility. Indeed the Exynos 9810’s new modem supports CDMA. Samsung’s licensing dispute with Qualcomm and their recent reconciliation points out to issues beyond “simple” technical matters. The fact that the Snapdragon 845 is produced by Samsung is also a factor at play. The foundry business used to be under the same corporate roof as the SoC business making Exynos chips, however last summer Samsung has spun off the manufacturing part into a separate business unit. 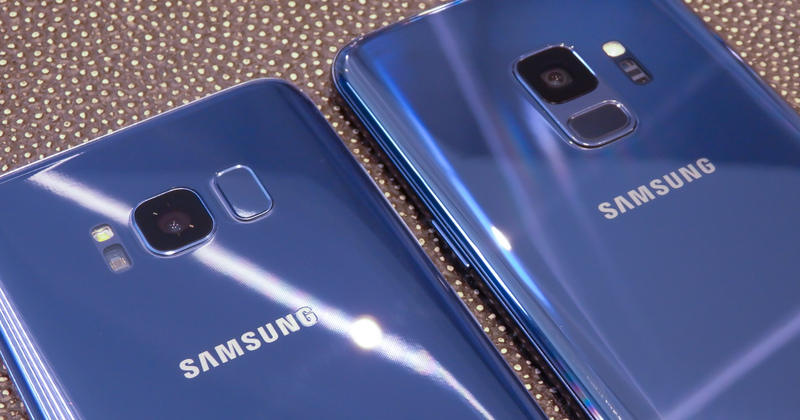 What this means for the future of dual-sourcing Snapdragon and Exynos SoCs remains uncertain, but for now the Galaxy S9 still continues the tradition, for better or worse. 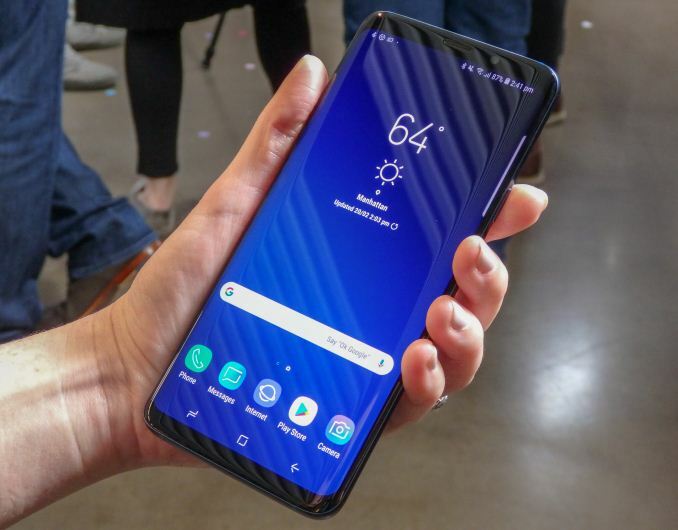 On the software side Samsung’s Bixby Vision has received an update that now includes real-time text translation through camera augmented reality. It now functions similarly to Huawei’s Microsoft partnered translation app. Samsung also copies Apple’s animoji’s – AR emojis allows you to create your own avatars and are created through the front-camera and analysis of up to 100 points in your face. The emotes are used through the keyboard and work in various apps including messaging. Iterating on last year’s DeX, the new DexPad allows the phone to be plugged into horizontal pad. 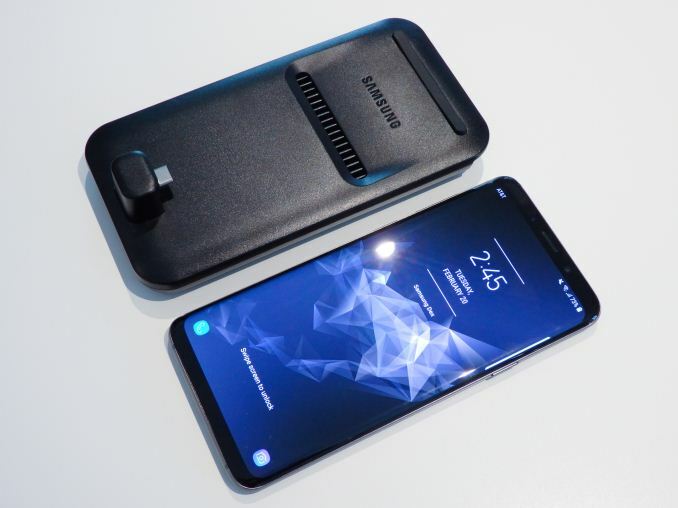 The dock still has a fan for active cooling of the smartphone and he new form factor should actually improve on the old DeX as the fan outlet flows over the upper half of the phone where the SoC is located. The DexPad still supports two USB A ports, a HDMI output and a USB-C port for power. The resolution capability increases from 1080p to 1440p. It’s clear that the Galaxy S9 is more of an iterative generation for Samsung – at least from the outside. The design changes little, but in a world where smartphones are increasingly converging into being distilled into what LG calls the “essence” of the smartphone experience – the screen, there is little what vendors can do to differentiate themselves from each other and between generations. I think it’s a positive that the S8’s excellent design is mostly maintained even if we had hoped for the introduction of much hyped up features such as under-screen fingerprint sensors. 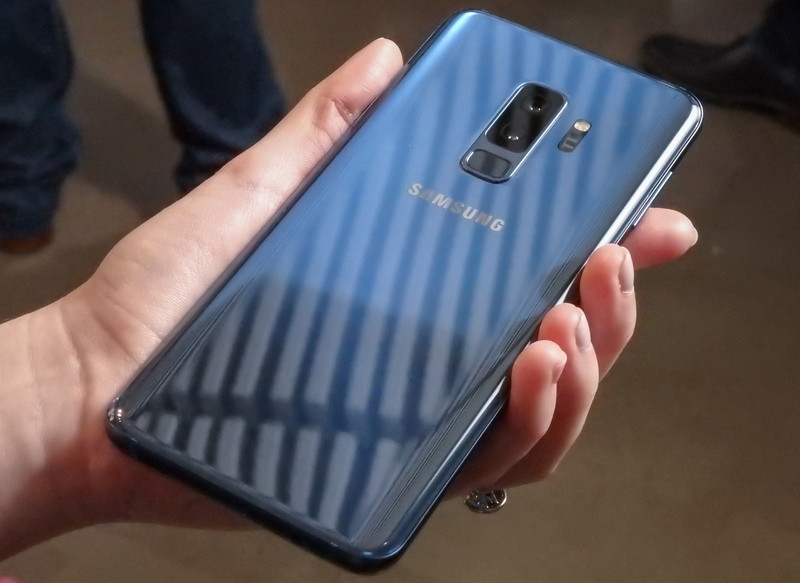 The camera has seen the largest generational update in years for Samsung and promises concrete updates such as much improved low-light capture, high-framerate video recording and industry-first introduction of adjustable aperture in a smartphone camera. If the Galaxy S9 ends up a good upgrade over the Galaxy S8 is a question that might have different answers depending on which market you’re located in. The Exynos variant promises some monumental performance increases on the side of the CPU that will likely not happen any time soon again. If this increase translates into real performance advantages in every-day use and power efficiency is kept in reign, we’re likely to see large discrepancies in user-experience between the two SoC variants which could impact user’s decisions on whether it’s worth it to upgrade to the new device or not. Please stay tuned for more information following the launch event as we update the article with new information and post new performance updates. "We’ll try to get our hands on a sample as soon as possible after the event tonight and run more benchmarks on the Exynos devices and update this article, so stay tuned for a couple more hours!" "Both devices bring iterative designs over the Galaxy S8 – which is not a bad thing."